Welcome to my first blog entry!!! 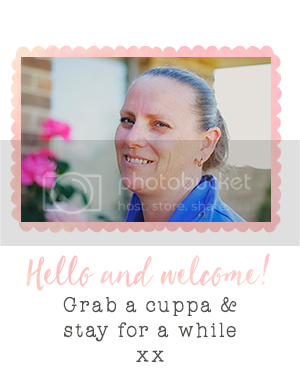 I have been running a blog for the last 2 months on my own website http://www.stampwithme.com.au/ - check my website for previous blogs!! Doesn't the week fly by quick?? It was definitely spring fever in our office today. The beautiful blue sunny day was just beckoning... come outside! And we did - at lunch time. Have to love this time of year in Canberra! 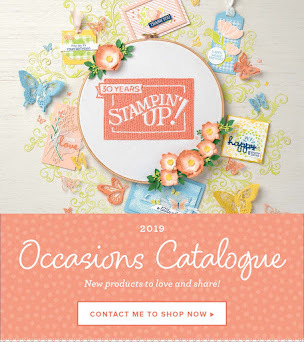 Which is why the Spring Mini Catalogue from Stampin' Up! is just perfect for this time of year. Have you seen the Bloomin' with Beauty set? The choices in design you can make are just endless. Or you can have a tailor made Kit to Go! 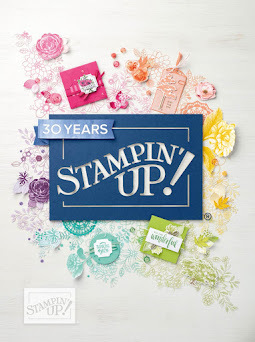 featuring the Bloomin' with Beauty stamp set from Stampin' Up! 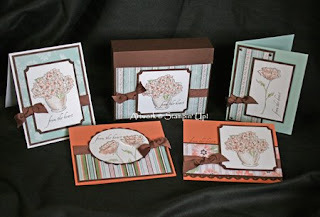 You too can make a beautiful box with matching cards. It is a perfect gift idea. For those of you who like more challenging projects - I also have a Kit to Go! 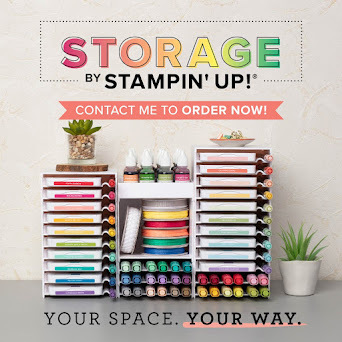 with a Stationary Portfolio instead of the box. Absolutely lovely. Contact me if you're interested. Full colour printed instructions are included! I'm off now to make one in a different colour scheme! These colours just aren't me!! Isn't it funny how we all have our colour preferences and individual style. Guess why papercraft is the one for me!